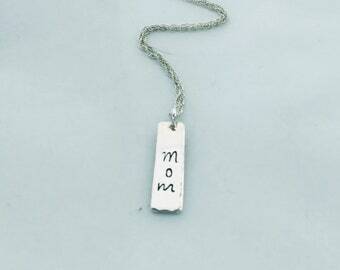 This tiny angel wing necklace is a sweet way to keep your lost loved one close to your heart! A hand cut, sterling silver angel wing charms couples with your choice of birthstone on shimmery sterling silver double rope chain in your choice of length. 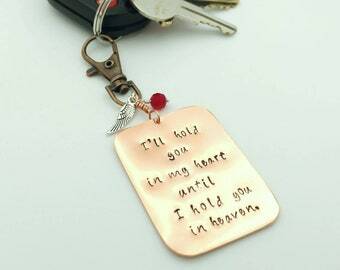 A charming way to keep your angel a part of you! Each tiny angel wing is hand cut with love from sterling silver sheet and carefully textured to add sparkle. Each wing measures approximately 1 inch by 1/3 inch. 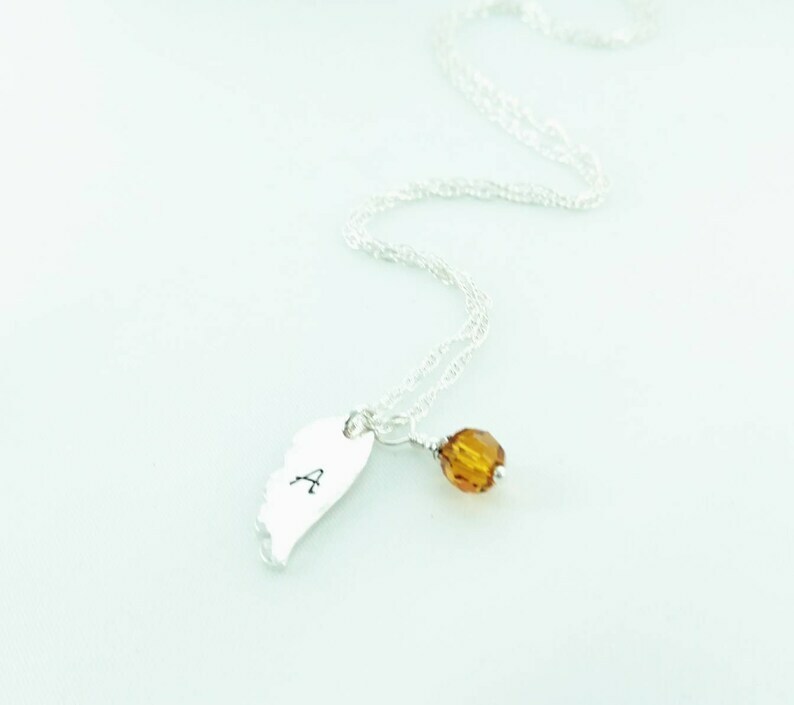 The birth month is represented by a Swarovski Elements bead with a tiny little pewter cap. The chain is hand finished and is available in your choice of length (18 inches is the most popular). Chain is strong, but dainty sterling silver double rope chain. I can stamp an initial or short name (3-4 letters only) on the angel wing if you would like to personalize the necklace more. Please leave the initial or name in the "add a note to beccasblues" box at checkout. Please allow 4-5 days before shipping as each piece is hand made by me. Every piece is different and one of a kind. Hand stamping uses individual stamps which have to be lined up by hand and hit by a hammer to imprint the letter into the metal. The letters will not line up perfectly every time. Every piece is different and one of a kind. This is the beauty of hand stamping. The impressions of the letters will be visible on the back side of the piece so only one side can be stamped.